The 2nd Gen Ryzen Threadripper 2990WX has 32 cores, 64 threads, and a list price of $1,799 (preorder on NeweggRemove non-product link). Yes, we know, this sounds like a lot of money. 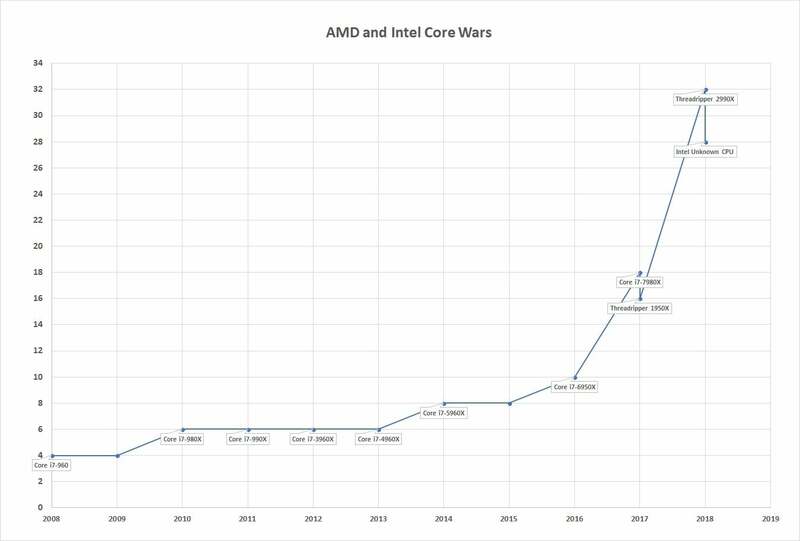 However, AMD’s new flagship CPU is actually a pretty spectacular bargain compared to Intel’s top dog, the Core i-7980XE, which launched last year with 18 cores and a price of $2,000. In fact, that’s why AMD is introducing the “W” here. AMD said it knows a lot of applications and games favor higher clocks over thread and core counts, so it’s branding the 24-core and 32-core Threadrippers as ‘W’ to help people understand these CPUs are aimed squarely at “creators and innovators.” In other words, 'W' chips are for people who push pixels, frames, and rays around for a living, and need every core and thread they can get. Those who need higher clocks and fewer cores should look at the two new 'X'-branded CPUs, the company said, or even to its 8-core Ryzen CPUs. 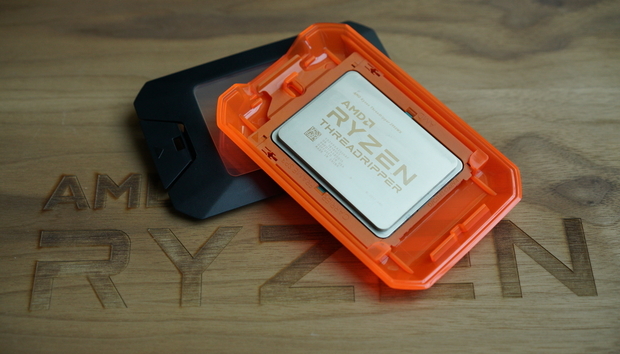 Regardless of the dust-up, the AMD Threadripper 2990WX (preorder on NeweggRemove non-product link) still has several months' head start while Intel can only field an 18-core CPU. 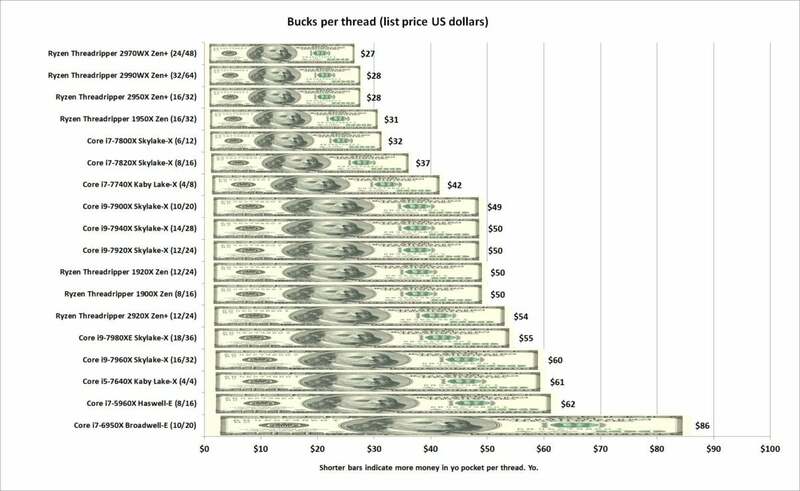 Even worse: It’s difficult to see how Intel can sell consumers a 28-core that is priced to compete with AMD’s Threadrippers without angering its business users, who are currently paying $8,719 for the existing 28-core Xeon Platinum 8176.